AVETA GLOBAL is positioned primarily as a facilitator and coordinator of your international expansion project. Our approach is based on our experience within French companies wishing to internationalize. We have chosen to put all our skills at the disposition of micro- to medium-sized enterprises that do not yet have the resources necessary for successful inter- nationalization. With a team of fifteen consultants, all recognized experts in their specialties (by country, profession and industry), we compare, share and pass on our experiences in your interest. We also offer training services to support the evolution of your business. The passion and commitment of entrepreneurs, from strategy to practice. Prudence and the constant search for investment returns, always with a view to the long term. Our core values are expressed in our consulting: privacy, ethics, a sense of responsibility. With his track record of over 18 successful years in corporate finance and leadership of strategic and operational projects, particularly international ones, Sébastien has demonstrated his skills in contexts from strong growth through merger and acquisition to restructuring. 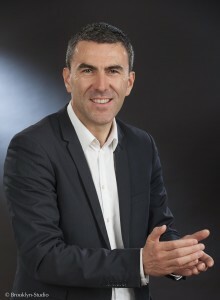 He has managed multicultural teams and cross-functional projects within inter-national groups as well as French companies, in sectors ranging from luxury goods, transport, energy and distribution of industrial products to engineering. He graduated in 1997 from the Ecole Supérieure de Commerce de Bretagne with a specialization in Finance and Auditing, later complemented by an MBA in Corporate Finance and International Finance at the University of Massachusetts BOSTON COLLEGE. A member of the French National Association of Financial Directors and Management Control (DFCG), he updates his skills continuously and participates in best practice sharing within the profession, especially internationally.